This is an easy vegetarian recipe for a quick a bite. Adjust the recipe according to your taste – add more veggies, other sauces or types of cheese. Enjoy a tasty homemade sandwich. Cut ciabatta in half. 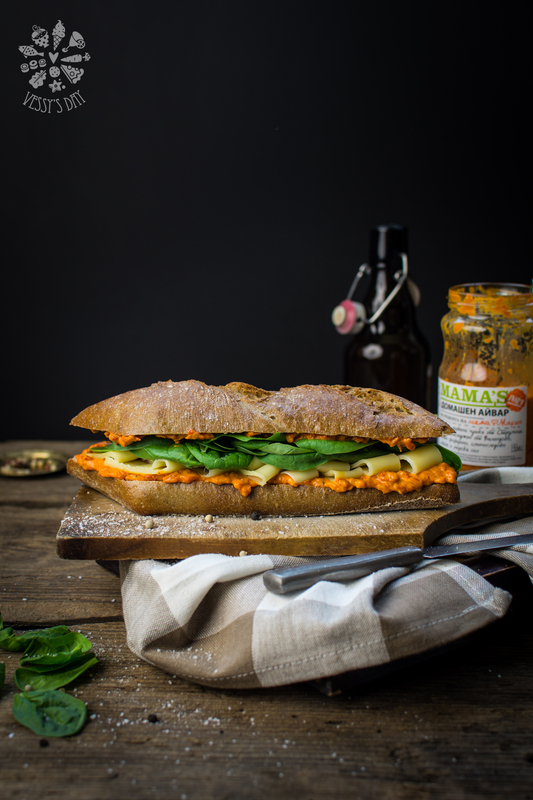 Spread a little bit of ajvar on both pieces of bread. Arrange some spinach on top of the first half of the ciabatta, then a couple of pieces of gouda cheese. Sprinkle a little bit of olive oil and top with the second half of the ciabatta. Season with salt and pepper if you like.